Our favourite meal of the day comes around once every 24 hours, and we’re eternally grateful for its frequency. It’s no easy feat hunting down the best breakfasts in Burleigh, but we’ve happily knocked back plenty of weekend brekkies all in the name of research—to bring you our tried and tested favourites. Happy brunching! It’s a Burleigh institution that helped define cafe culture on the Coast, so we can’t go past a courtyard table and a steaming cup of the good stuff from Commune. Eclectic furniture fills the space, colourful event posters plaster the walls and funky tunes boost the mood. Hungry? Commune’s coriander corn frittatas with house-made chilli jam might just be more legendary than the coffee and always-good vibes. Basically, you can’t call yourself a local until you’ve eaten at Commune. There’s no denying we adore Canteen Kitchen. Sit inside on a dreary day and you could be transported to a contemporary neighbourhood bistro in Europe. Think: wrap around windows, leather banquettes, exposed-globe pendant lights and a tiny two-person open-plan kitchen in the rear pumping out some of the best breakfasts in Burleigh. If we could eat Canteen Kitchen’s Middle Eastern-inspired dishes every day of the week, we would. Just in need of a caffeine fix? Next door in the buzzing arcade, Canteen Coffee, with its strip of retro movie theatre-style seats and moody-lit barista bar pumping out the liquid goods, has you covered. If you’re yet to pull in and try the goods at Stones Throw, you’re missing out on one of the best cafes in Burleigh. With an ethnic twist infiltrating the menu, come for the beef rendang mince or, for the late brunching crowd, the bibimbap is a stand out. Helping you slide on into the weekend, this licensed local fave even keeps the doors open for happy hour from 4pm to 6pm, Fridays and Saturdays. Hordes of hip coffee drinkers and lycra-wearing riders filling every available seat on a Saturday morning, is a testament to the popularity of this West Burleigh hangout. Worth the trek away from the main drag if you’re keen to devour some of the best breakfasts in Burleigh, we love Parlour Coffee’s easy-breezy patio and picnic tables in the front garden. Paired perfectly with Marvell St coffee and seasonal, Insta-worthy dishes from buckwheat waffles with house made salted caramel, Chantilly cream and toasted coconut to the coconut chia pudding with passion fruit, mango and stone fruit salsa. Summer in a bowl, right there. For a suburb whose existence revolves around the beach, there are not too many coffee joints claiming prime real estate water views. 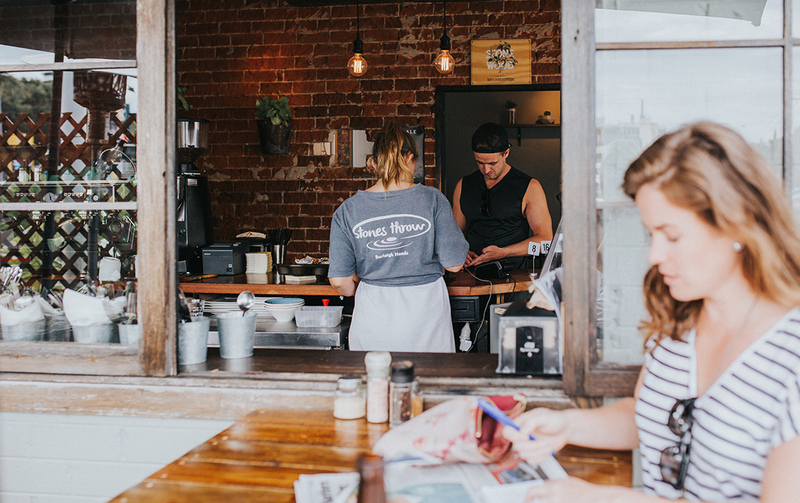 Borough (Barista), sister cafe to Palm Beach veteran Barefoot (Barista) and Mermaid Beach newbie Background (Barista), will deliver your caffeine fix with a smile and a side of salty sea breezes. 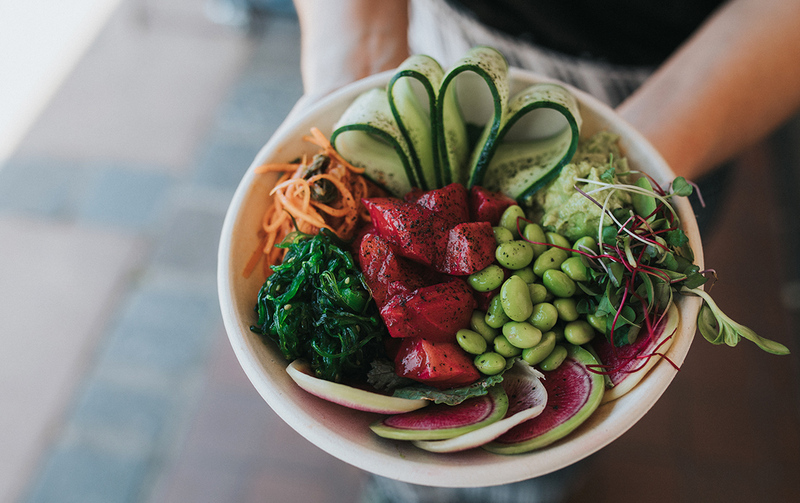 If you’re on the hunt for some of the finest coffee and best breakfasts in Burleigh, here you’ll find a selection of nourishing bowls including their ridic raw salmon poke bowl; plus delicious order-and-go wraps, perfect if you can’t spare another minute away from the beach. Wrap up Burleigh’s carefree bohemian surf culture in a cafe nutshell and it likely looks like Burleigh Social. Not only are they making some of the best breakfasts in Burleigh, such as their signature eggs benny on a croissant (seriously, why hadn’t someone thought of this earlier? ), but their coffee and friendly service is always on the mark. Grab a smoothie, acai bowl or a hot or cold brew depending on your mood, and find some shade under the brollies and picnic tables. This spot is about as quintessential Gold Coast as you’ll find anywhere. The sheer weekend crowds are living proof that Social Brew is one of the best cafes in Burleigh. 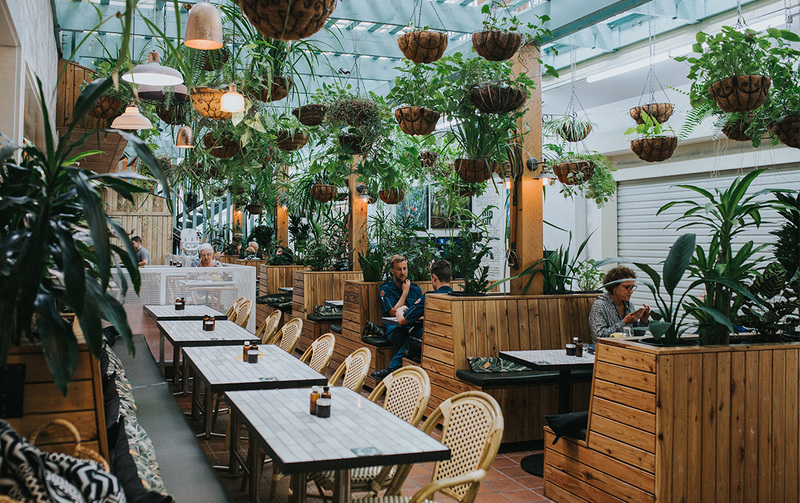 Graze on wholesome brunches from smoothie bowls to breakfast boards, coffee or house-made cold-pressed juices, all served under the lush canopy of the cafe’s iconic indoor nursery. Seeking gluten free, vegan or just in desperate need of a health kick? This place has your name all over it. Just don’t leave without sneaking a bite-sized cheesecake or raw vegan slice, which you’ll find beckoning from the glass cabinets on the counter. Okay, okay, before you professional brunchers throw your hands in the air in protest that Paddock is technically in Miami, hear us out! It’d be a serious crime not to inform visitors that a trip to the Coast is incomplete without brekkie in the fairytale-like garden of adorable Paddock Bakery. This 1950’s restored cottage not only pumps out ridiculous sweet baked treats and smooth cuppas on the reg, its menu features local classics like the Dippy Eggs, Toad In A Hole or, our new fave, the Philly Cheesesteak. More than just your typical cafe, we’re confident Paddock Bakery will steal your heart with first bite of your Nutella Bot. Worked your way through the best cafes in Burleigh? Perhaps you should plan a night of Burleigh bar hopping next.